Joan Rivers who made the world laugh for over 50 years with her jokes, has died in NYC a week after her heart suddenly stopped beating during vocal cord surgery. She was 81 years old. Joan's daughter Melissa Rivers took her mom off life support so she could pass comfortably in a private room. The death has been reported to the NYC Medical Examiner's Office nd officials tell TMZ the office will open an investigation to determine cause of death. 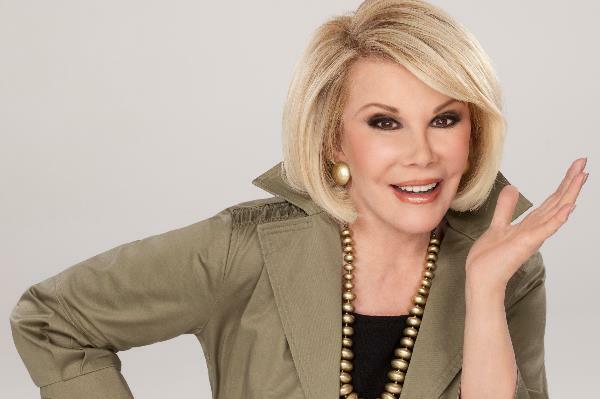 Melissa just issued a statement saying, "It is with great sadness that I announce the death of my mother, Joan Rivers." "She passed peacefully at 1:17 PM surrounded by family and close friends. My son and I would like to thank the doctors, nurses and staff of Mount Sinai hospital for the amazing care they provided for my mother." "Cooper and I have found ourselves humbled by the outpouring of love, support and prayers we have received from around the world.They have been heard and appreciated."